Writing about potential unexpected surprises in European equities. Veikko Valli acts as the CIO for Snowstorm Capital developing trading strategies utilizing 'big data' in an investment approach relying on quantitative and fundamental analysis. 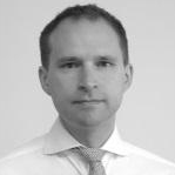 With a background in European equities as a portfolio manager and as a sell-side analyst Veikko Valli's work experience includes managing up to approximately $500M in European small-cap portfolios and a sell-side analyst position covering the oil services sector and Nordic small-caps.